dinosaur toes: rain or shine? Excellent outfit! That yellow sweater is just adorable! I love it! This outfit is so great and I agree with the above comment--yellow looks fantastic on you (and on your photo companion). I love this dress :) so versatile! Could really wear it with anything. 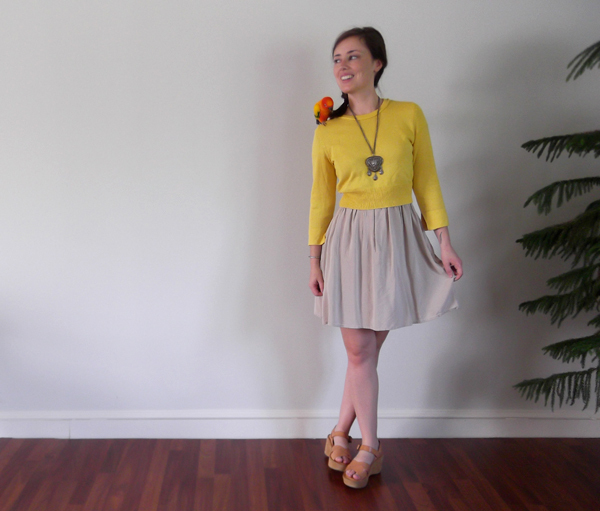 I love how you made it a skirt by putting that pretty yellow sweater over it! i love that top, it looks like one i got from h&m but in orange. the necklace is beautiful, a great find! i love when i have an outfit on and then duplicate it so that i can wear it forever and ever! Such a sweet look! 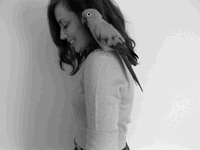 I love your shoes :) And that bird is super cute! When I first saw this picture I was like HOW!? are you wearing long sleeves, today is 90 here and ridiculousness! I hope you are sending some of that cooler weather to the east coast! I love this outfit! I love love love days that are like that! :) Where you are so comfortable and love our outfit you dont want to take it off. i really like that second picture down where you both look so nonchalant, haha. i wore a cardigan today and it was awesome! i hope this cooler weather sticks around. This is how Utah was! SO GLORIOUS, OMG! This outfit is so perfect, especially for a rainy day. 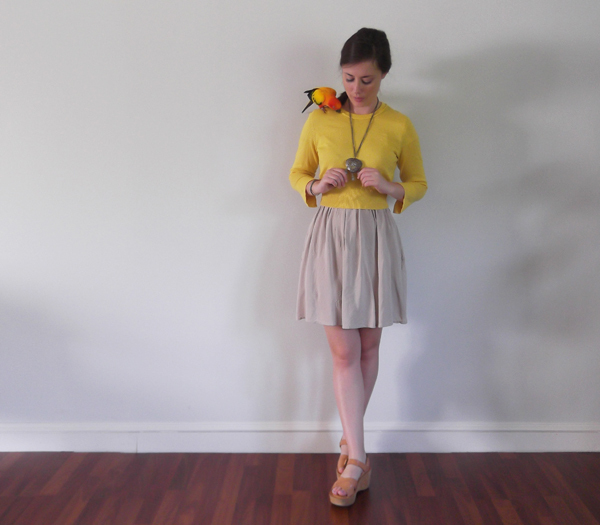 It's that pop of color, but with the muted skirt, it's just so elegant yet cozy and I am in awe over that necklace. ...I love your entire wardrobe. The picture where you and flojo are looking in opposite directions cracked me up. Sassy girls! Haha. Also- gaudy necklaces rock my world. Especially this one! 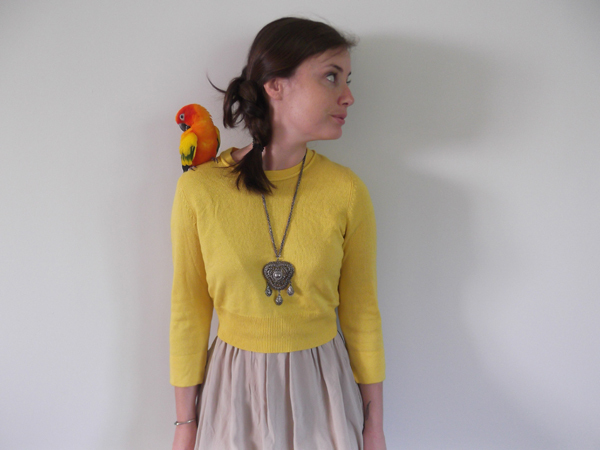 i love your bright sweater, and the shot of you and your bird not looking at one another is too adorable. That yellow looks amazing on you. Insert comment about peeing on you. Yeah, I went there. that necklace is amazing. you look so cute toes!